3D Printed earth buildings are not new, but when Ronald Rael of eartharchitecture and professor of architecture at the Uni of California in Berkley starts pressing “print” on his computer, things get interesting. He is using clay, sand and salt among other materials to print out panels and blocks of earth. It looks very sci fi and artistic yet at the same time has links to African Mosques and middle eastern architecture. I n this printed house sand is used for the modular bricks and 3D salt is used for the glass. Quite an interesting concept especially with the green walls. There are more images at emerging objects. One of emerging objects ideas is the cool brick that borrows from the ancient technique of the Muscatese Evaporative cooling window. This would be ideal for hot dry climates and would replace reliance on expensive and resource consuming air conditioners. 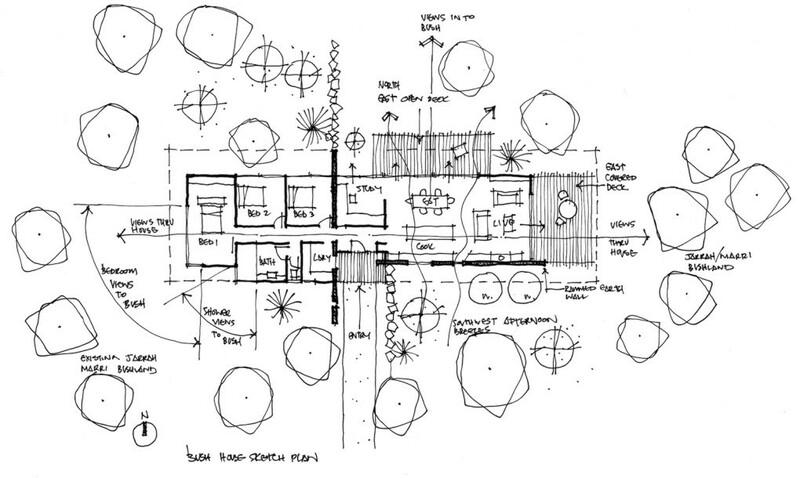 It would also provide a much nicer environment for the occupants. What is a super house? In world where the usability of the latest mobile Phone is more important than the usability of our houses, it was refreshing to read the following article. 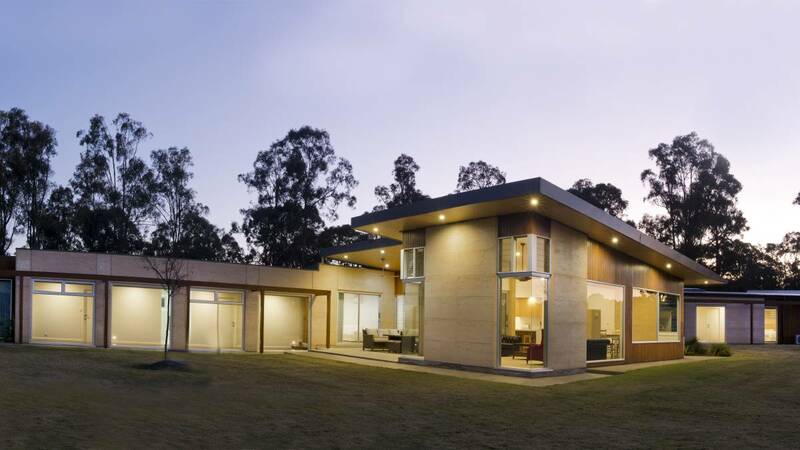 ‘The Australian’ newspaper’s Christopher Allen refers to the current exhibition in Sydney in his article: Superhouse exhibition takes architecture beyond the McMansion. It’s hard not to admire some of the amazing houses in what is arguably the most decadent art form. I especially liked the Pierre house. Long live the artist who can create good form AND function. See the full article here. 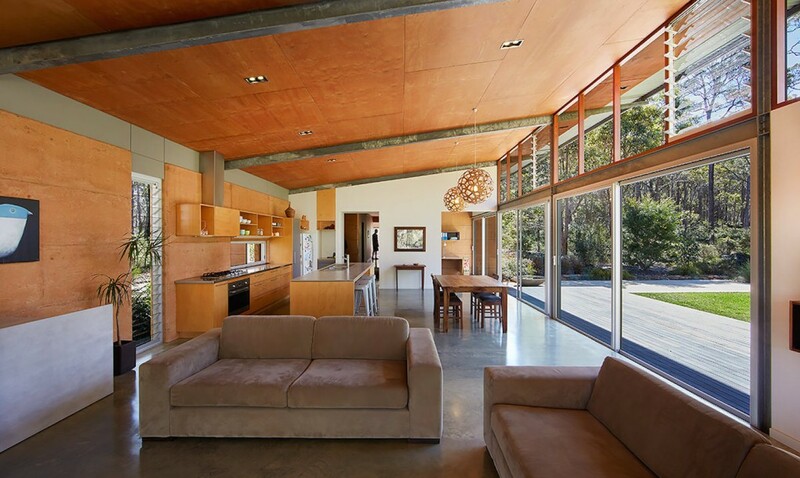 Two identical houses have been built in Kalgoolie, both are rammed earth except one has insulated panels inside the rammed earth. There are sensors placed throughout the houses and walls measuring temperature and relative humidity. 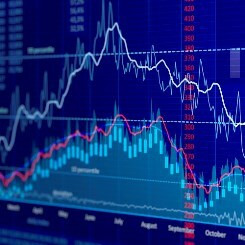 There is now a website showing details of the project and preliminary results. 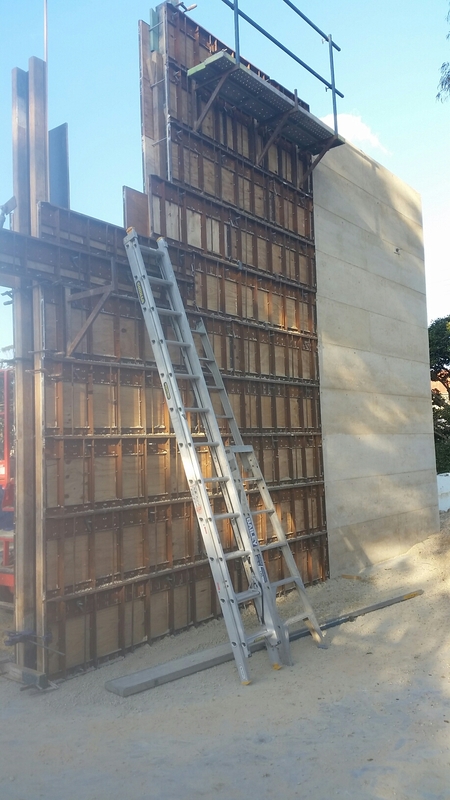 The aim is to measure the thermal performance of occupied rammed earth houses. More information can be found at this link. I love it how an ancient, common building method has become popular and a luxury item. Hopefully some of the one third of the worlds population living in earth houses read this article or watch this video below, they may want to stay in their earth houses instead of moving into ‘modern’ inefficient cultural-less boxes. This video shines a spotlight on how we live on this island Earth and suggests we need to move with the Earth’s Rhythms. Whilst the movies focus is on the important topic of food production, building our dwellings in relation to the earth’s Day/Night and Summer/Winter rhythms makes perfect sense, and helps us become ‘deeply in-tune with nature’. ʻĀINA: That Which Feeds Us from Living Ancestors on Vimeo. 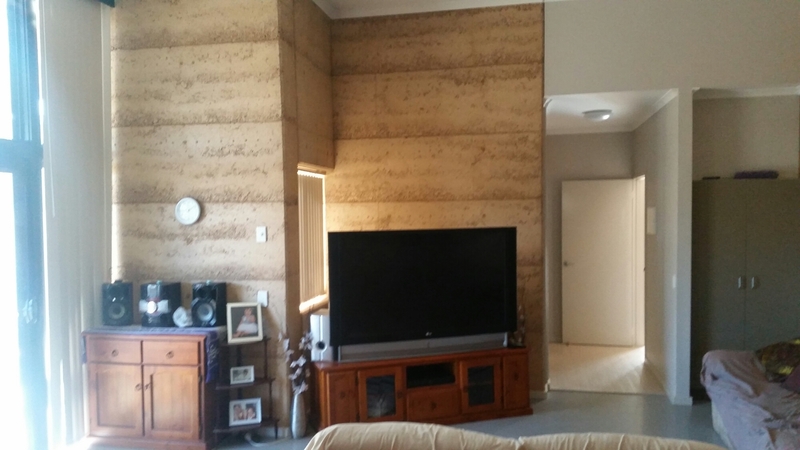 This 6 meter high rammed earth wall we recently built on the Northern Beaches of Sydney NSW, is located in the middle of the house. It will serve as great thermal regulator. 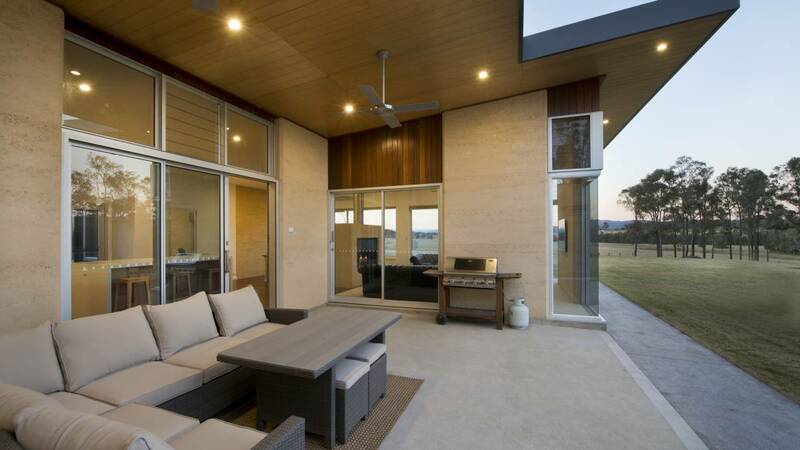 As thermal mass is slow moving, it evens out the daily temperature curve. Being internal it allows it to be cross ventilated in summer by sea breezes, whilst in winter it will store any heat from solar gains or heating and act like a hot water bottle. 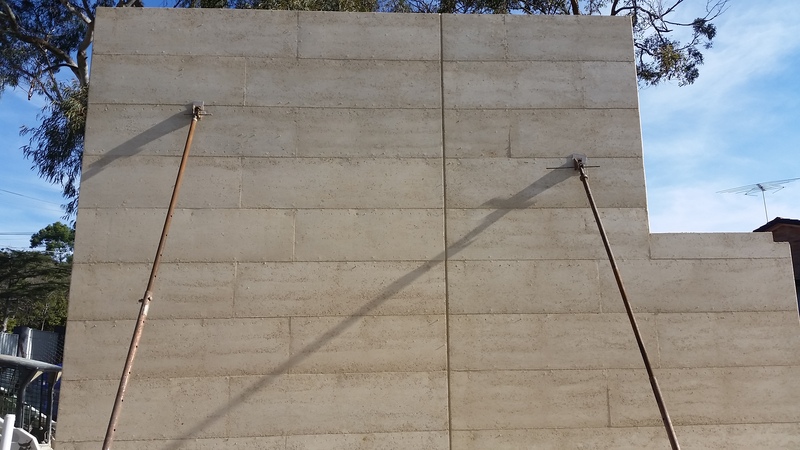 The only thermal mass better than rammed earth is water. 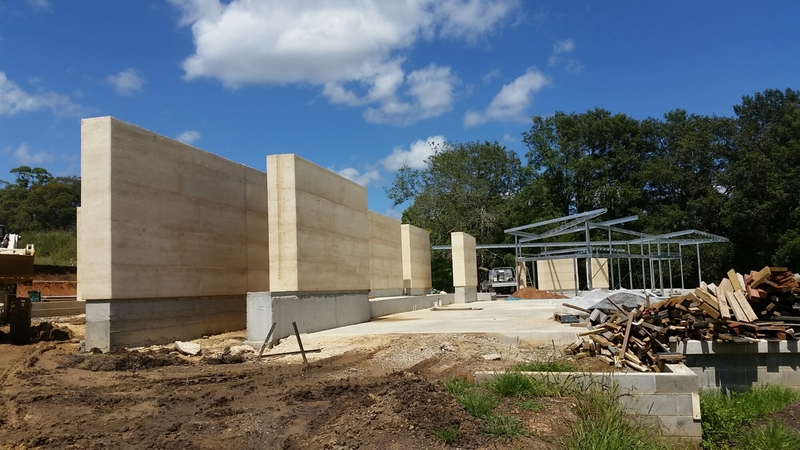 A recent article in the conversation talks about the benefits of radiant heat, which is an important feature of rammed earth. “……we knew that, at the low wind speeds typical of offices, radiant heat exchange mattered more than convective heat exchange. In other words, radiation temperature is more important for thermal comfort than air temperature. 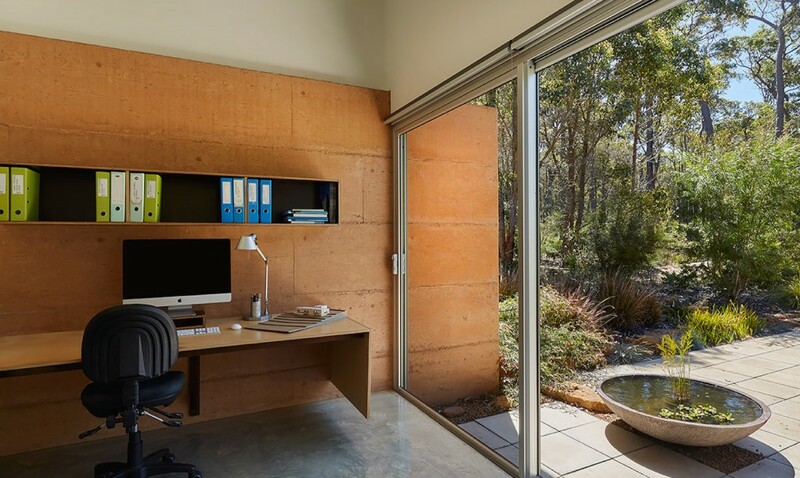 You could argue that offices should have wall conditioners, rather than air conditioners.” This is yet another reason to include internal rammed earth. If you open a fridge that is empty, all the cool air will fall out, but if the fridge is full (same as thermal mass) the coolth stays inside the fridge. It is the same principle for ovens and same principle for houses. 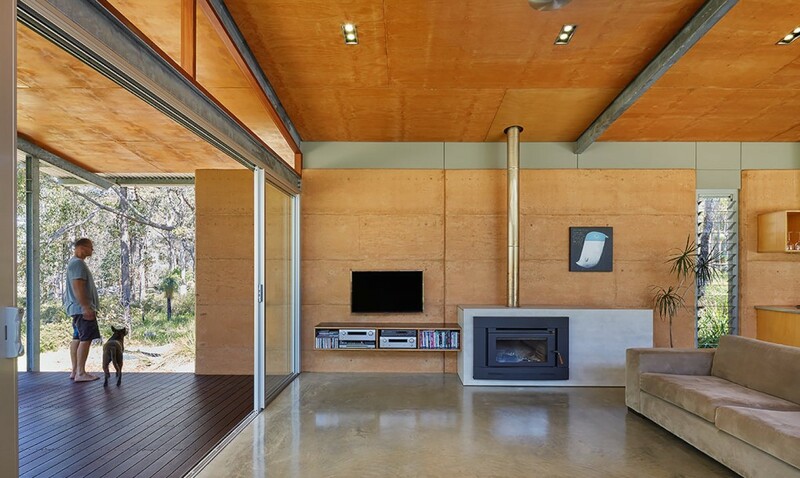 This is why internal thermal mass is so effective.